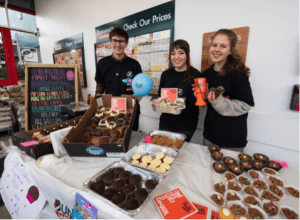 Six teenagers got together for the National Citizen Service (NCS) Action Day put together a sausage sizzle at Bunnings DIY store in St Albans for their Social Action Week. 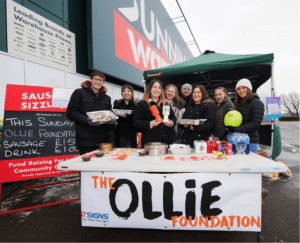 Despite bitter weather conditions, through selling hotdogs and cakes the team raised an outstanding £350. The NCS Action Day is a national campaign to get teenagers volunteering in their local communities. Amy DeCastillo, 17 and from St Albans, completed the NCS programme last summer and has since gone on to contribute her time and ideas to the NCS regional youth board. She volunteered for the OLLIE Foundation during her NCS experience and was keen to support them again during Action Day.